Original cover by Carmine Infantino and Murphy Anderson; DC 1967. Mark Engblom's website is here. I love the way the colors pop. This is beautiful! Thanks, guys! It was a blast to put together...one of my all-time favorite covers, so it was fun to put my own spin on it. Another awesome one. Love the different body types. 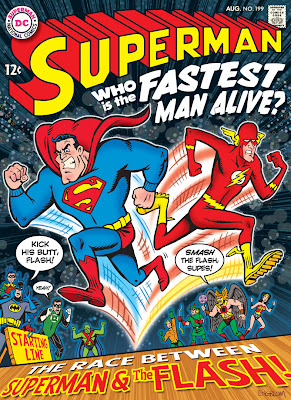 I've never understood this idea... To me, of course Flash has to be faster than Superman! Good job on the re-do! 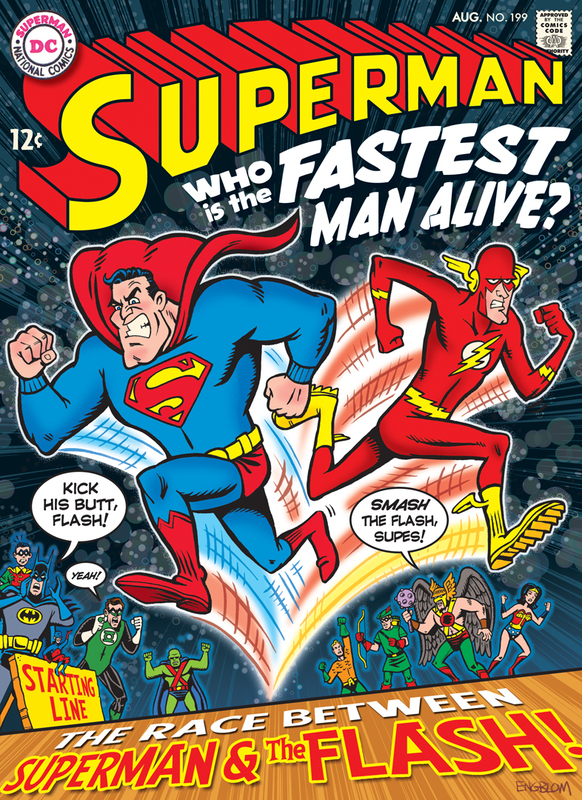 Yeah, I could never figure out why DC couldn't just admit the Flash was the fastest man alive (despite the sub-title on his own comic book! 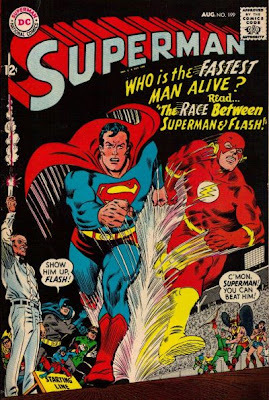 )...especially since Superman had such a dazzling array of additional superpowers! Glad you liked it, François!